According to the US travel website and reviewer TripAdvisor, you’ll have to get off the beaten path if you want to experience Denmark’s best hotel this year. On the site’s newly-published Travellers’ Choice list of Denmark’s top hotels – based on consumer reviews – Lolland’s very own Bandholm Hotel finished top for 2017. “We are very honoured that our guests have given us such fine ratings and that they have wanted to tell others of their experiences here at Bandholm Hotel,” said Joseph Kristiansen, the head of Bandholm Hotel. 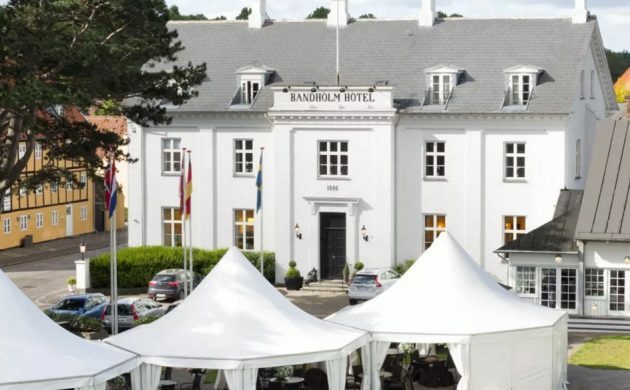 Judged on a number of indicators – such as location, overnight quality, rooms, service, value for money and cleanliness – Bandholm Hotel scored 4.5 or 5 out of a possible 5 in all possible categories. Out of almost 430 reviews, 74 percent evaluated the hotel as being ‘excellent’, while 23 percent deemed their stays ‘very good’. The location of the hotel, with an ocean view, close to Knuthenborg Safari Park and being 20 minutes from the Rødby-Puttgarden ferry connection, in addition to a sterling restaurant, helped propel the hotel to the zenith in Denmark. The 40-room hotel has history dating back to 1692, while the main building was designed by English architects and erected by the Knuthenborg fiefdom in 1886. The legendary Hotel D’Angleterre in Copenhagen came second on the list, followed by Villa Provence in Aarhus, Ruths Hotel in Skagen and Hotel Koldingfjord in Kolding.